Spring is little shy this year, I'm just hoping that we gonna have nice weather this coming Sunday for Easter egg hunt, at Aunt Mo's house, Luckily I'm off to work! yay!!! I noticed that, when Easter season is coming up, the sweet potatoes is always on sale. So, I grab couple the other day at the store and make this Kamote Que yesterday. Kamote Que is one of the very popular snack in the Philippines,you can find this at market street just flooded with Kamote Que vendors, on the schools area, just basically everywhere. Every Filipino I know, knew how to make this delectable snacks. What I like most about this snack, they are very affordable, fulfilling and just simply good. 1.) Put oil into the pan about, 10-15 minutes until its HOT enough to fry. 2.) Add the brown sugar, wait until the brown sugar floats and then you can add the sweet potatoes. 3.) Turn the sweet potatoes from time to time to spread the caramelized sugar coating. 4.) 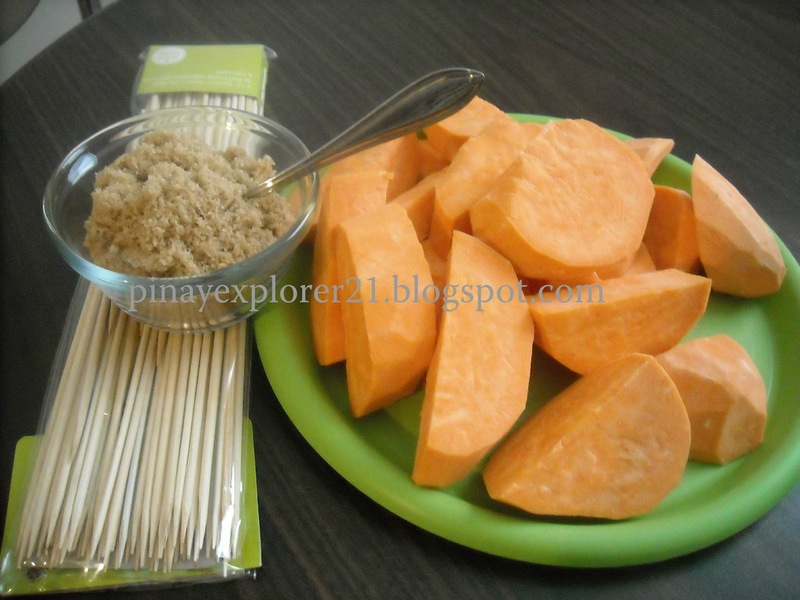 Try the sweet potatoes by poking it, using the barbeque stick. You know when its DONE when the sticks comes out so easily. 5.) Take it out in the pan, and skew it into the barbeque stick. Enjoy! Spanish Rolls are one of a classic Filipino bread next to Pandesal and Ensaymada. This is one of my favorite growing up! 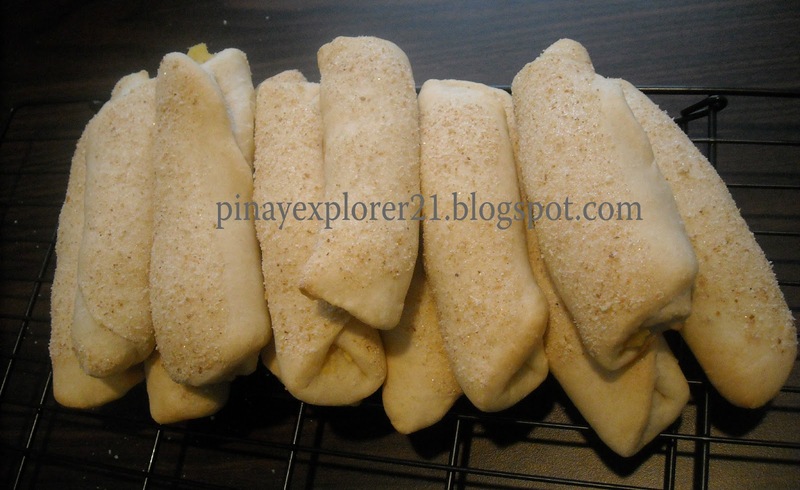 until up to this days, I have no idea why they called it Spanish Rolls. I don't think there is Spanish into it. I tried to do some research but I can't get any answered right. Typically Spanish Rolls are soft bread dough rolled into a sheet, brushed with melted butter and sprinkled with breadcrumbs and sugar. This time, I made the filling out of sweet bean paste instead of the classic butter, sugar and breadcrumbs, but the process remain the same. A perfect way to start your day with a glass of hot chocolate next to homemade bake Spanish rolls. 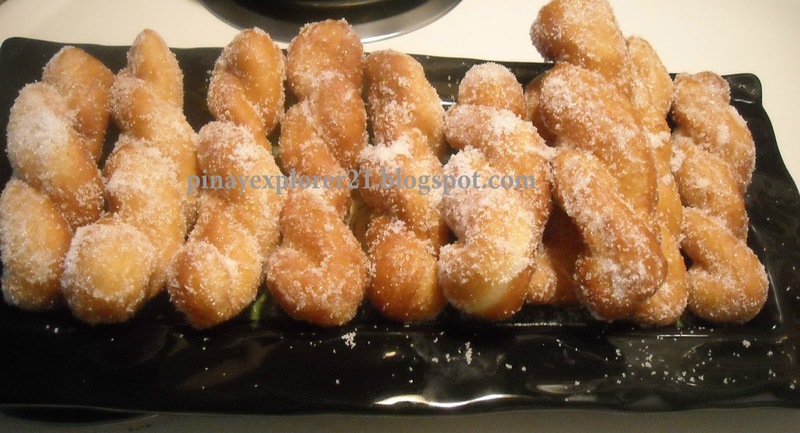 Below it the recipe of Spanish Rolls with sweet bean paste filling. 1.) Bring the peeled mung beans and water to boil. Let is simmer until it soft and mushy. 2.) Add the sugar and splash of vanilla. Let it stand until it thicken until it became like paste. 5.) 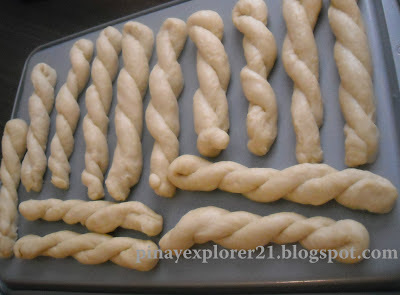 Divide the dough to 18-22 pieces. 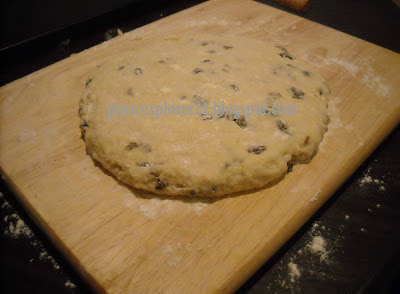 Flatten it out, spread the sweet bean paste filling, fold the dough and roll into a breadcrumbs and sugar mixture. 7.) Bake on 350 preheated oven for about 12-15 minutes, until its golden brown:) ENJOY! It's been a busy week for me, both home and work. My schedule have been so hectic that I wasn't able to open my blog for couple days, but now I'm back on track again:) I been waiting for spring and yet we have little snow yesterday, It's cold! So, I made some chili for the whole family to enjoy. 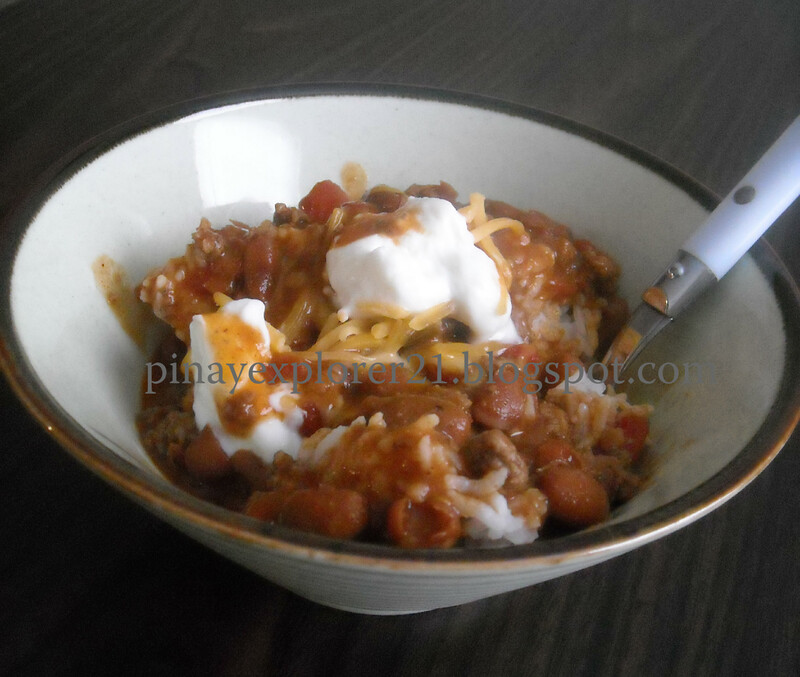 This is my version of chili, the shortcut way! 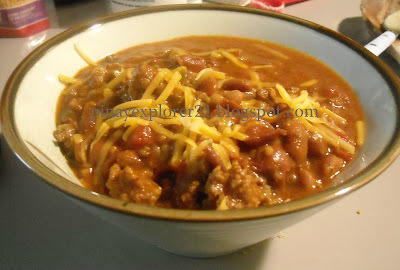 Its because the ingredients are really simple, just throw everything in one pot and whola!,A taste of traditional Chili in in one bite!1.. YUM! Its one of my comfort food! My kids loved it and of course the Daddy too, along with this scrumptious meal, We had chocolate chip cookies for dessert! 1.) Brown the ground beef in large pan for couple minutes. Drain the excess oil and put it back on the pan. 3.) Put some chili powder, salt n pepper and let it stand for 5 minutes. Taste according to your preference. ENJOY! I prefer rice instead of crackers on my chili bowl :) Happy Weekend Everyone! P.S.- I just realized that I spelled the Chili wrong after reading some of your comments.. (hahaha) Thanks! 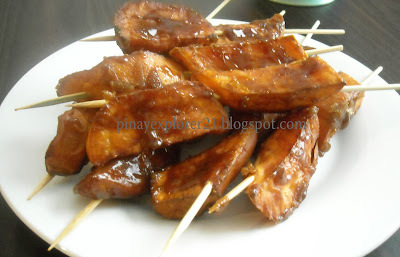 Shakoy is one of my favorite snack or merienda since I was little kid, I always looked forward having shakoy after school or on weekends. 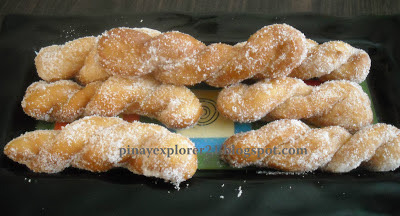 This twisted donuts coated with sugar is very popular in the Philippines as " Shakoy" , I don't know why local called it that way. There's lot of street vendors selling Shakoy at the streets, even bake-shoppe sell this yummy snacks too. Today, As usual my craving strike, and so here it is! fresh from my kitchen, and it tasted like back home! It's sweet, soft and ummhh..just simply good! I ate 3 pieces already (hahah) Don't tell!! My kids just watched me the entire process of making this yummy snack, I think they're curious what I'm doing, which by the way I loved. I finished it really quick! ( smiley face ) and my 3 year old daughter took picture of the shakoy / twisted donuts before frying. Next time, if your thinking about something for snack or dessert, this is the best recipe for you! 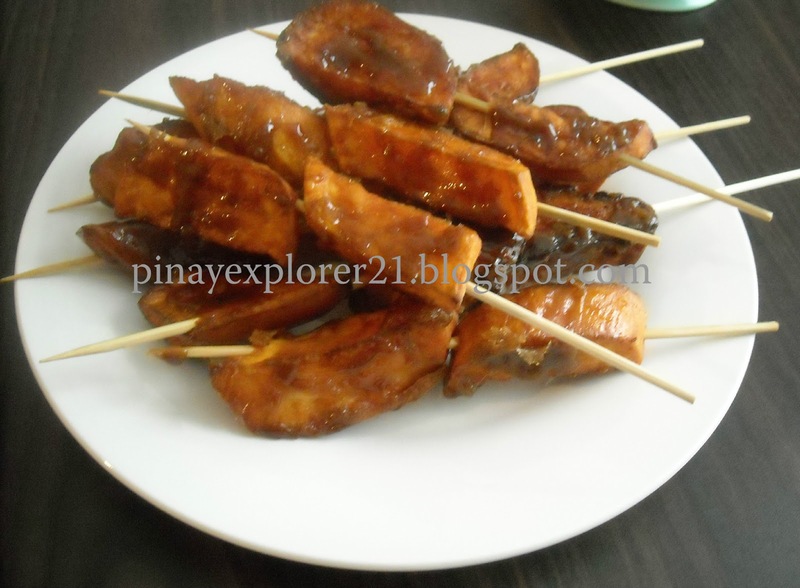 Simple ingredients mostly you already have in your household and very easy to make.. 1.) In large bowl combine flour, sugar, yeast, salt and butter. Mix well until everything incorporated. 2.) Add the egg into the mixture and lukewarm water and start mixing together. 3.) Knead the dough in clean floured surface until smooth and elastic. Let is rise for 1-2 hours. 6.) Fry it for about 1-2 minutes each side. Let is cool. Put in the plastic bag with sugar and shake it. We enjoyed eating "shakoy" today with my family. Definitely gonna make more soon! 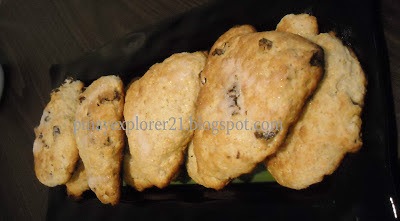 I been thinking about making scone for last couple days, So, I do some research to give me some idea how to make perfect scone. They're plenty of variety of flavor for scone out-there, But I was more interesting on raisin, lemon or orange, since those three ingredients is already in my household. And I want it to be less ingredients as possible. This morning instead of making pancake and eggs for my kiddies breakfast, I just decided to make scone instead. It's really quick to put everything together, 16 minutes in the oven; not bad! By the time, I'm done cleaning up, the Raisin Scone is ready to be devour. It was ready good breakfast and snack later on.. wink:) By the way, I'm munching on it right now, while writing this blog.. It's very good, soft, not too sweet and the little chuck of raisin just give that perfect bite of .. I would say .. 4.) Add the milk and egg mixture and mix well. Today is my Hubby's birthday, So, I made him a simple chocolate fudge brownie cake, with vanilla icing and orange frosting for little decoration on the side. While doing the finishing touch for the cake, lot of ideas popping to my head, what else?? I could make to make this perfect night for the whole family. Aha! I'm gonna try the recipe that I found last night while doing some random research about food, I stumble upon this blog ( Apple, Pies, Patis and Pate) its blog about food and they all look really good, But I was intrigue with this, Pasencia Cookies, to my surprise there's only 6 ingredients. Today is the perfect time for me to give it a try for the first time, It's very easy and really good! This would be perfect for light snack while watching our favorite show tonight. I was really excited making it, as soon as it comes out in the oven, I tasted it with no hesitation, even if it is really hot ( hahah). It's really yummy! crunchy, light, little chewy and not to sweet! 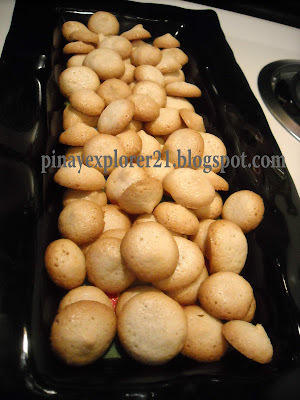 Aside from that, this Pasencia cookies is also perfect for light snack, or family picnic, company coming over, any occasion or I would say just because ( wink). I would say double or triple the ingredients if making it for large group since there small bite size and there very light, I would say, somewhat between cookie and meringue in texture, Just little perfect bite! This is very easy and all the ingredients is already in your household, If you're thinking trying new recipe this is the perfect one to try. 4.) 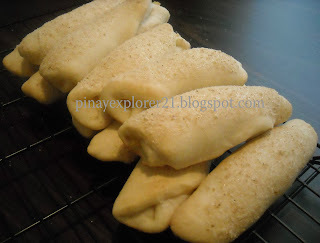 Slowly add the shifted flour, fold it gently in one direction until everything combine. 6.) Cool it down completely before taking the cookies out ( it's easier to take them out in the baking pan) ENJOY! I woke up extremely early today, not a bad idea for a glass of hot chocolate and two pieces of binangkal on hand, perfect way to start my day. I have bunch of ideas running through my head right now, I just don't know where to start..( hhehe) This is the result of waking up so early, I guess! 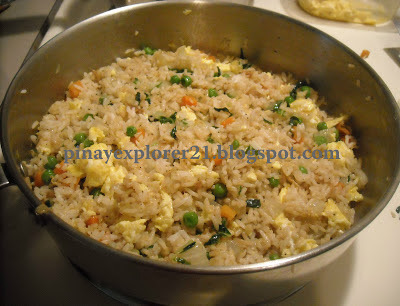 I called this Fried Rice " No Recipe" for the reason that everyone have different version of how they cook their fried rice. Excellent use for left over rice. I can eat this delicious Fried Rice for breakfast or dinner or anytime of the day. 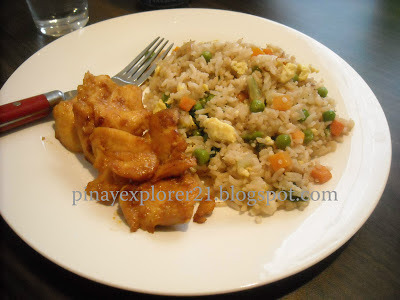 I just simply love fried rice! 1.) Pour oil into large pan, stir in onion and sauteed for couple minutes. Add the vegetables fry until crisp-tender. 2.) Stir in beaten egg and cook until done. Add the left over rice, soy sauce. Mix well. Add salt and pepper if desired and serve! :) Enjoy!